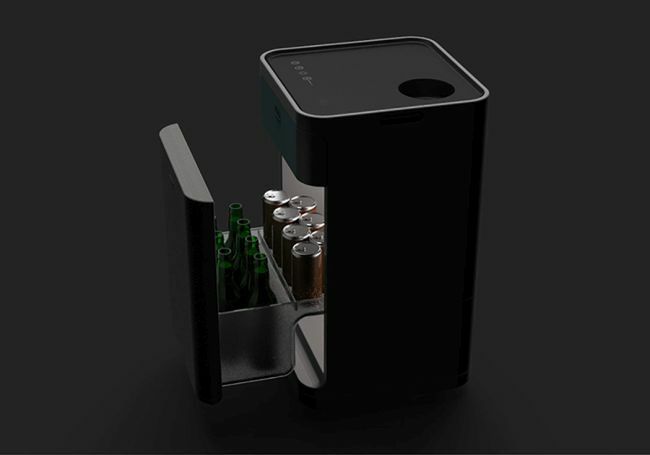 Ahmedabad based designer Jayneel Pradip Shah has come up with a mini refrigerator that looks cool and elegant. Unlike all refrigerators it is quite different. How? Read on! The mini refrigerator keeps cool all the drinks and snacks. The designer actually designed this refrigerator as a useful appliance to contrast with the stylish home. 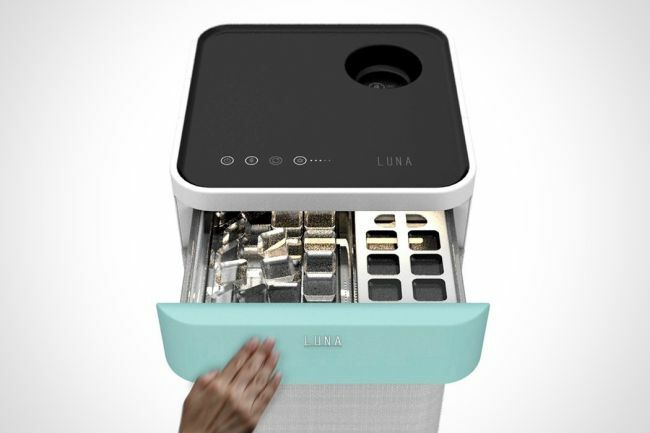 The Luna refrigerator is somewhat like a side table on which you can keep your belongings too. 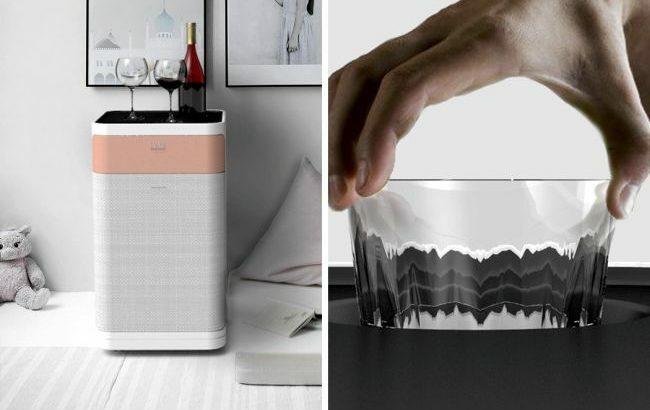 This cool mini refrigerator is definitely impressive. The present-time needs some appliance which can fill various purposes. So, this is best suited to meet your need whilst not compromising with style and elegance. This appliance serves various tasks. It has bar equipment to keep your drinks and snacks chilled. It also has a glass stand to uphold your glass right up. 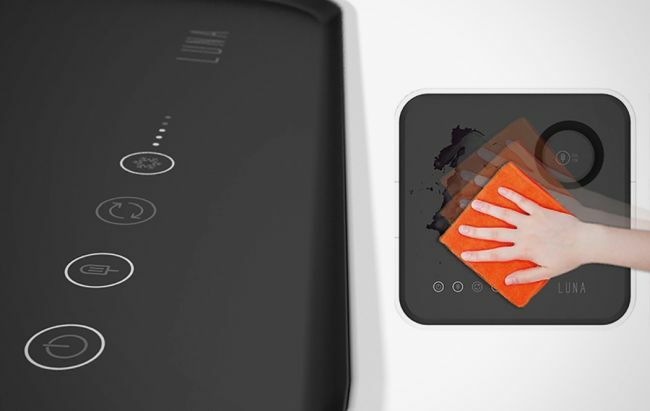 Its top panel has some advanced buttons by which you can operate it the way you want. The front unit which is quite stylish and has a ‘Chill Zone’ which is the small ice factory for the drinks. The second panel has sufficient space to keep all the beer or wine bottles. 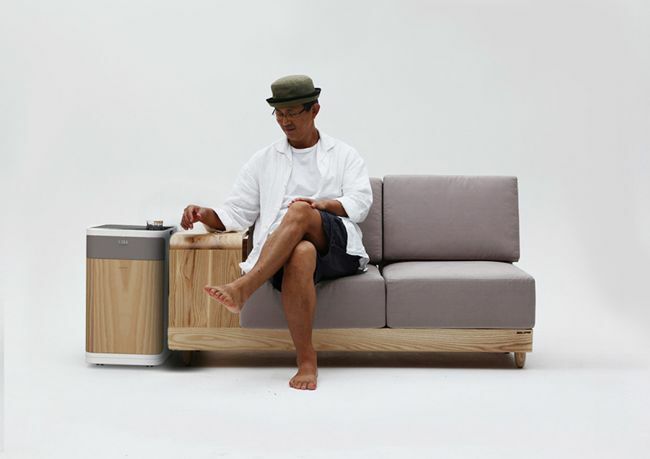 Also, some snacks or leftovers can be placed in this small mini-refrigerator. While watching movie or cricket, snacks are the first item which everyone wishes for. No one likes to get up and take to and fro trips to the kitchen. The designer has come up with a perfect solution. All the snacks or beverages can be kept in this small mini-refrigerator. 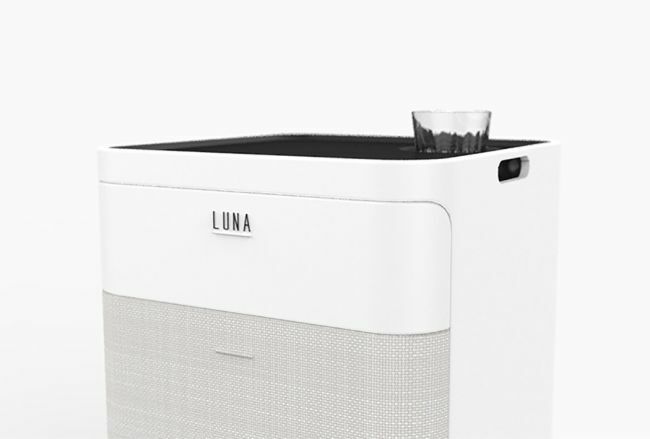 The ‘Luna’ mini refrigerator can be also used as a furniture which is highly in demand. You can either put in the living room as a decoration or in the master bedroom to fulfill your small needs. Its simple, minimalistic design goes well with modern interiors. The bar cart/wine chiller is super awesome, isn’t it? How did you like this mini refrigerator. I personally, love it for all good reasons and would any day like to buy it and make it sit in my living room!